WOW! Interesting shots. Sadly, not very pedestrian friendly. For some reason, that second shot reminds me of A1A in South Florida. Maybe it's all the sand. Definitely all the high rises. This actually isint a part of the original downtown. The original downtown is much more ped friendly. Unfortunately the super tall skyscraper area of town is not. 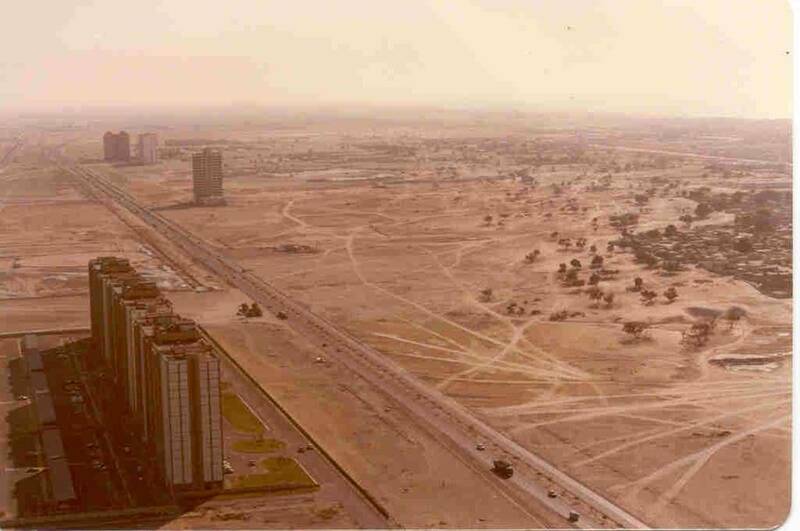 Its my understand that the Emeraites Tower was built on this stretch of road and then the land became extremely desirable and more skyscrapers followed. As most of you already know they are consturcting what will be the tallest building in the world by far. Burj Dubai will stand at an estimated 2625 feet tall. I love how in the first picture, the buildings at the bottom left are far away from the road, and in the second one, they are a lot closer. Economic progression, no doubt about it...but new Dubai is one of the most poorly thought out cityscapes outside of the United States in my opinion. Poorly thought out, yep, but still makes a helluva picture. So what happens to Dubai when the oil runs out? From what I've heard, that's only about 20 years away. That's heresay, I haven't seen any "facts" so to speak. But it's something I'm sure they're thinking about no matter when it happens. I'd been concerned about the artificial islands Dubai has been building, but it seems damage to marine systems might be one of the least of their concerns. So, yeah, bna, not only is the "strip" bad planning, their investments in the islands might prove quite devastating as well. Good thing they'll have boats. They love Americans though. I would go there once if I knew I would be safe. You'd be safe basically anywhere you go. Trust me. The fears people have of travelling to the middle east, while justifiable, are WAY overblown. Of course the media certainly doesn't help when the only coverage of the Middle East if when they show an angry mob or a bomb blowing up in Iraq. The middle east is the safest region in the world in terms of crime, and the people there are absolutely wonderfully welcoming and kind. I think it's based on the family orientedness of Muslim culture. In anycase, it's very safe. I mean, how often do you hear about anything happening to American tourists? It'd be all over the news if it did, and you never hear about it. I promise you won't regret it. I just got back from Egypt and loved every minute of it. Met so many genuinely warm people too. You're probably right. We Americans could probabably go there and be safe, but I've heard that some of the taxi drivers in Dubai are former members of the Taliban and I don't think I could give my tourist dollars to that area of the world. BNA, I would treasure a chance to go. I may put that thought away, and save some money and do just that. Take a trip to the Middle East...awesome. Thank you! I agree with the earlier comment on how not to build a city. A bunch of skyscrapers lining a super highway is not the way to do it. Looks good from a distance but isn't very people friendly. This seems to be a common failing when skyscrapers are built. Looks good from a distance but isn't very people friendly. This seems to be a common failing when skyscrapers are built. 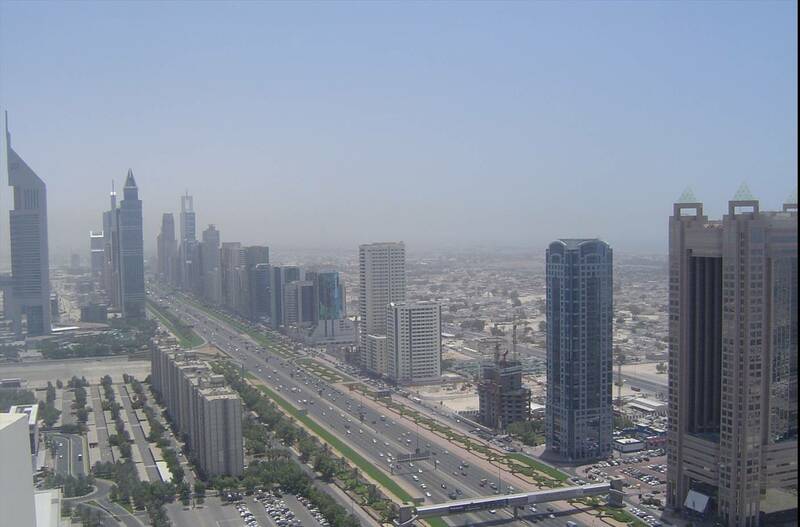 Ive heard it said that only 6% of Dubai's GDP comes from oil now. Tourism and general finance now leads the way. No problem! I know that I had a few hang ups before I went too, but they were shattered once I got there. I've only been to Egypt and Turkey as far as the middle east is concerned, so I can only assume that the rest is similar, but yeah, definitely take the chance if you get it. A fantastic place. It's a shame it gets such a bad wrap. I think it all depends on where you are going. Turkey is very "westernized" and largely wants to be European, so it is fairly safe for Americans in comparison to other places. Egypt isn't quite as radicalized as it once was...seems to be much more stable than its days when it was fighting the war with Israel. Parts of Lebanon would be ok, but it's still unstable and you'd have to be on guard with Syria stirring up so much trouble there. American tourists shouldn't go around waving an American flag there. Iran...most of the people I hear are warm and friendly and love "western" ways, yet the mullahs are hard-core conservative and are the ones that are seeking civil war in Iraq in favor of the Shiites. Wouldn't travel to Iran right now unless you are with a national that knows what he/she is doing. Remember the Iran hostage crisis? Saudi Arabia...hard to say. SA is known as an American ally, yet many, many in the Royal family are suspected to despise Americans and one of the most hard-core conservative muslim sects is growing there. This is the country where most of the 911 hijackers are from. All in all...it depends on which middle east country you go to (I wouldn't really consider Egypt the middle east (it's in Africa) or Turkey either, it's more in Europe. I'm sure the majority of your everyday people would be kind...just stay out of the "hot" areas right now. May wanna wait a while before vacationing in Baghdad. Although I think this geo-political/east-west discussion is fascinating and I would love to get involved, I sorta don't think it belongs on this forum, unless maybe in the coffee house. But I did just wanna jump in on Titanhog's contention that Egypt is not in the middle east. 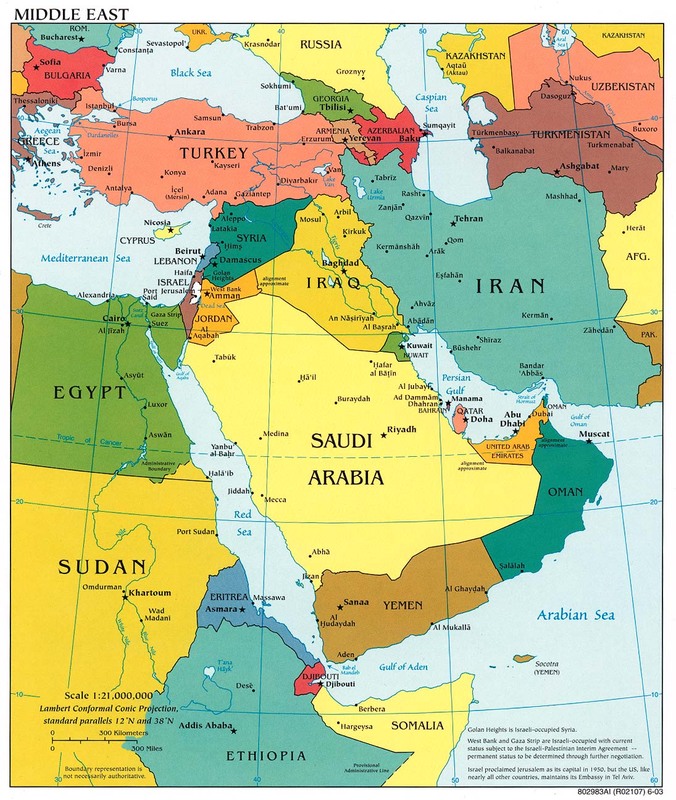 Surely, we can all see that the majority of the land mass of Egypt lies in north Africa, but a goodly chunk of Egypt, the Sinai Peninsula, connects the rest of Egypt/Africa to the Levant/Israel-Palestine and Arabia. And politically, there is no doubt that Egypt is a middle eastern, Arab-Muslim country, being the permanent location for the Arab League, a prominent player in negotiations among Middle Eastern nations and generally just being considered by everybody to be a Middle Eastern country. Which in no way contradicts or dampens its historically diverse culture and history. As for Turkey, I think the rest of Europe is currently wrestling with just how European Turkey is or can be. The verdict won't be in for some time. Historically, Constantinople/Istanbul has been a crossroads between east and west, but I think since around AD 1453, the rest of Turkey (especially the Asian side of the Bosporus) could be considered solidly in the eastern sphere and not European. Oh yeah, BNABreaker, you just got back from Egypt? Any pictures? Although I think this geo-political/east-west discussion is fascinating and I would love to get involved, I sorta don't think it belongs on this forum, unless maybe in the coffee house. But I did just wanna jump in on Titanhog's contention that Egypt is not in the middle east. Surely, we can all see that the majority of the land mass of Egypt lies in north Africa, but a goodly chunk of Egypt, the Sinai Peninsula, connects the rest of Egypt to Israel and Arabia. And politically, there is no doubt that Egypt is a middle eastern, Arab-Muslim country, being the permanent location for the Arab League, a prominent player in negotiations among Middle Eastern nations and generally just being considered by everybody to be a Middle Eastern country. Which in no way contradicts or dampens its historically diverse culture and history. Maybe agree that Egypt and Turkey are on the "fringes" of the Middle East? Not trying to start a geo-political conversation...just a reply about visiting that region. Never been myself, so I probably shouldn't act as if I know what it's like. I just try to keep up with what's going on by reading and I love history and geography.